The next generation of home comfort specialists has arrived. Call us today for continuous savings and superb comfort. We serve Washington, DC and nearby areas with quality products and services. You can count on us for installation, repair, and maintenance of your HVAC systems. As genuine HVAC experts in Washington, DC for over 30 years, we continue to grow daily and strive to exceed the expectations of our customers. Hugee Corporation believes in 100% customer satisfaction, and for several years, this has been our ticket to becoming the most trusted HVAC company in the area. We provide complete electrical support work for HVAC apartment and townhome new construction and renovations, and light commercial applications. You can also count on us in fabricating and designing sheet metal ductwork, duct smoke test, load calculation using Manual J, clean ducts with a brand-new duct cleaning system, perform video diagnostic service, and service all makes and models of heating and air-conditioning equipment. When it comes to state-of-the-art heating, cooling and plumbing services, Hugee Corporation is on top of the choices of many residential and business owners in Washington DC and Metropolitan area. 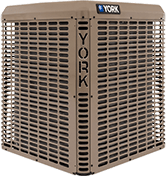 Since 1984, we have been providing only high-quality and reliable services on all makes and models of heating and cooling systems. In every appointment you set, our friendly and well-trained technicians guarantee the job is done right the first time. At Hugee Corporation, we have the most dependable YORK products you need to keep your home comfortable. Browse our energy-efficient selection of heating and cooling equipment. With a wide variety of Carrier heating and cooling products to choose from, let the experts at Hugee Corporation help you customize a solution that’s right for you. Our Rheem air conditioners and heat pumps are highly energy efficient and designed for long-lasting durability. They have done excellent work for me. I would recommend them to others. It was a pleasure working with this company. They provide what they promised in a very timely manner. He was on time, professional, and knowledgeable. I was impressed. Very clean, and fast , I was very happy with the service Hugee Corp. did at my house. professional, competent, friendly, well-managed company that delivers quality! - Ken & liz L.
Excellent customer service and knowledgeable staff. We always have technicians from Hugee Corp. to maintain, service and repair our systems. They are very professional and thorough. The other reviews seem to be from a couple of years back. I am a current customer and very satisfied with their services.